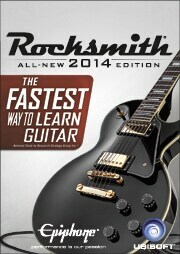 Includes the Rocksmith Real Tone Cable to plug in an electric guitar or bass. To play with an acoustic guitar or bass, you will need a pickup with a 1/4" output jack or a dedicated USB microphone (both not included). 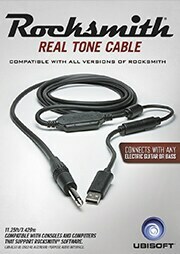 The Rocksmith Real Tone Cable is a unique 1/4"-to-USB cable that enables Rocksmith to detect and respond to your electric guitar or bass. 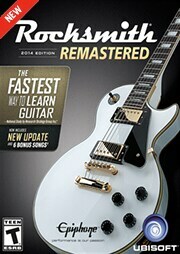 Rocksmith usually includes the Real Tone Cable in the box, except downloaded versions. This cable is compatible with all versions of Rocksmith on all available platforms.